Add an elegant touch to drinks at a party with these Metallic Rose Gold Striped Paper Straws! These paper straws feature rose gold and white stripes printed in a swirling design. Set up a bunch of these durable, food-safe paper straws at the bar so guests can sip on beverages through them. 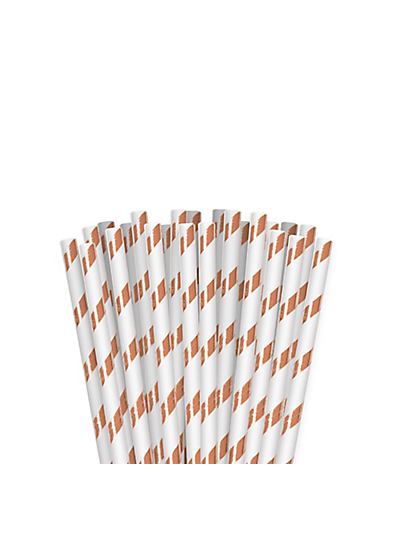 Get these disposable straws for guests to use at a bridal shower, cocktail party, birthday party, or any other celebration!